Lift your sales with our fresh approach to successful multi-site supermarket fit-outs. We know supermarkets are a high-volume, demanding and competitive industry, and that every dollar counts. We've worked with supermarkets for over 30 years, and we know how to increase foot traffic and maximize sales through clever, customized store fit-outs. Down-time costs you money, so the fit-out arrives from our factory ready for installation. We offer the best value for money over the equipment's life, and our fit-out is designed to withstand the wear and tear from supermarket trolleys and high foot traffic. We're proud that our designs integrate seamlessly with third-party equipment such as scales and scanners. 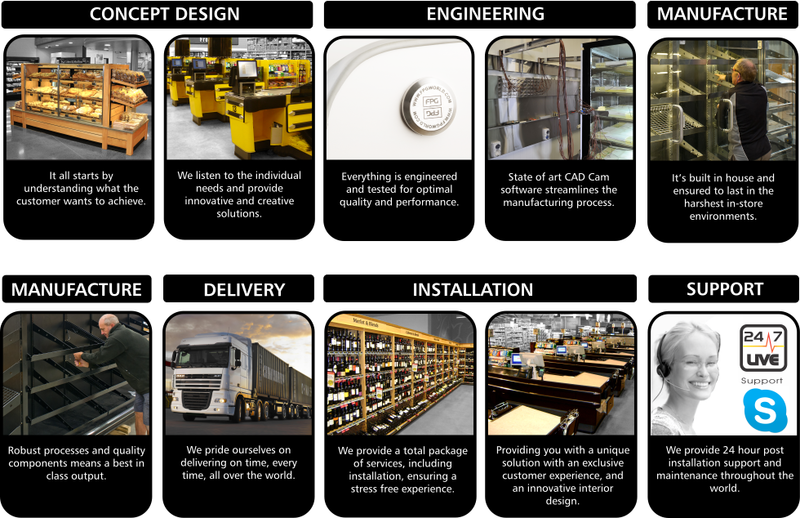 From concept design right through to ongoing 24/7 support, we stand behind our supermarket fit-outs every step of the way.